There’s always that one person in your life that has nothing on their walls (and that person might be you!). Add some awesome to someone’s life, or upgrade your own bare walls with rad prints during this 25% off sitewide at Pop Chart with promo code POPINTOSPRING. 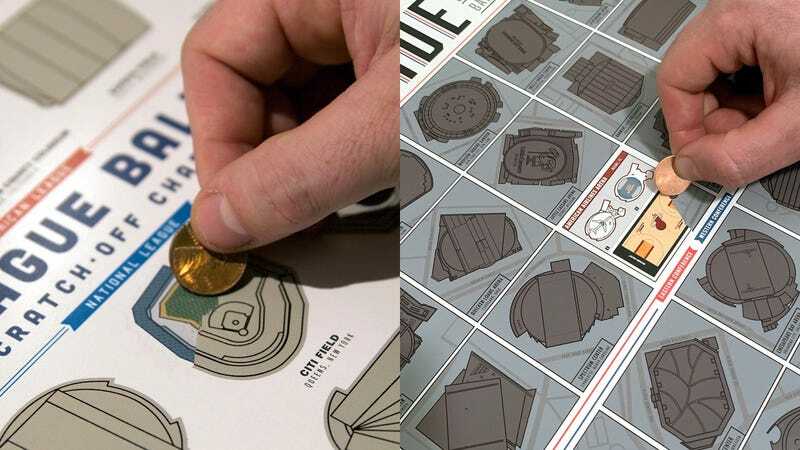 We’re big fans of their fun and interactive scratch-off posters, including the new MLB and NBA series, which let you scratch off ballparks and arenas as you visit them. For the less sports-inclined, they also have scratch-offs for essential films, novels, and graphic novels. But the scratch-offs barely, uh, scratch the surface. The stunningly detailed Football Clubs of Europe print is perfect for any soccer fan. And of course, you can never go wrong with the classics like the Birds of North America, The Very, Very Many Varieties of Beer, and the iconic Cosmic Exploration chart. Seriously, there’s so much great geeky stuff here, there’s surely something that you’ll like. Enter the code POPINTOSPRING at checkout to see your discount, which will also work on hanging supplies like frames and poster rails.